Many Americans don’t realize this statistic, but arthritis is the number one cause of disability in the United States. For those that are not aware, arthritis is a condition that causes joints to become inflamed. 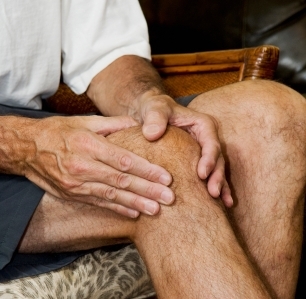 There are various types of arthritis, with osteoarthritis being the most common type. If you’ve recently been feeling joint pain, swelling or stiffness, then it may be time for you to get evaluated for arthritis. Offering arthritis treatment near you, our team at Advanced Medical of Twin Cities can help you grab a hold of your existing arthritis, as well as catch it quickly if you are dealing with the early stages of arthritis. For some, arthritis is a condition that gets passed down genetically. Other individuals develop arthritis because of repetitive movements that they may engage in while working or exercising. Other ways that individuals develop arthritis include obesity, autoimmune disorders, foods or a previous injury. Diagnosing arthritis is not something that you can do on your own, so leave it to our medical professionals at Advanced Medical of Twin Cities to effectively determine whether or not you have this condition. Rather than relying on pain medication for temporary pain relief from arthritis, partner with our holistic medical team and let us incorporate chiropractic services to properly manage this condition for you. Through chiropractic care, you’ll begin to experience greater range of motion, pain relief and natural healing from arthritis. The great thing about chiropractic care for arthritis is that you begin to feel relief from your painful symptoms quickly. At Advanced Medical of Twin Cities, we treat every patient individually. With so many different types of arthritis out there, there is no way for one treatment plan to work effectively for every patient dealing with arthritis. Instead, our dedicated medical staff will sit with you initially to determine the type of arthritis you have and to pinpoint specifically where your pain exists. Next, our expert medical professionals will create a personalized arthritis treatment plan designed specifically for you. Using natural treatment measures such as chiropractic care, acupuncture, and massage therapy, we’ll work tirelessly to ensure that you experience natural relief from your arthritis. Dealing with arthritis shouldn’t be something that you tackle on your own. Instead, team up with Advanced Medical of Twin Cities, offering arthritis treatment near you. To schedule an arthritis assessment, give us a call today at (763) 541-1280.